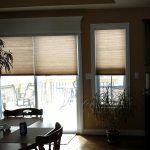 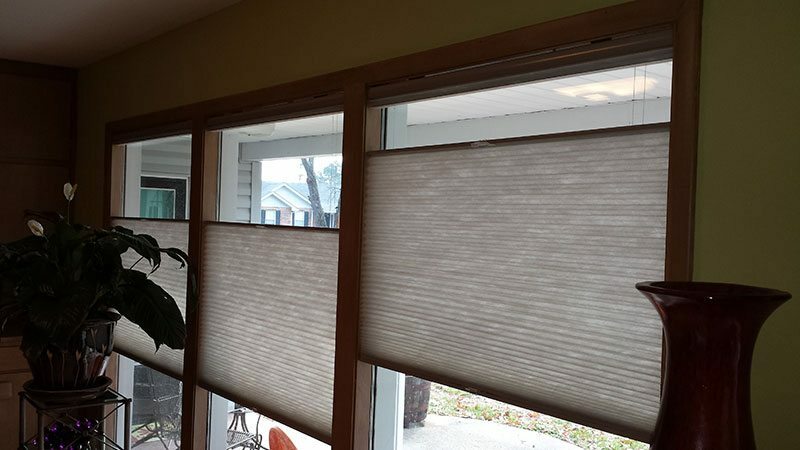 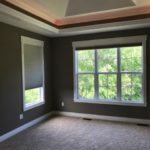 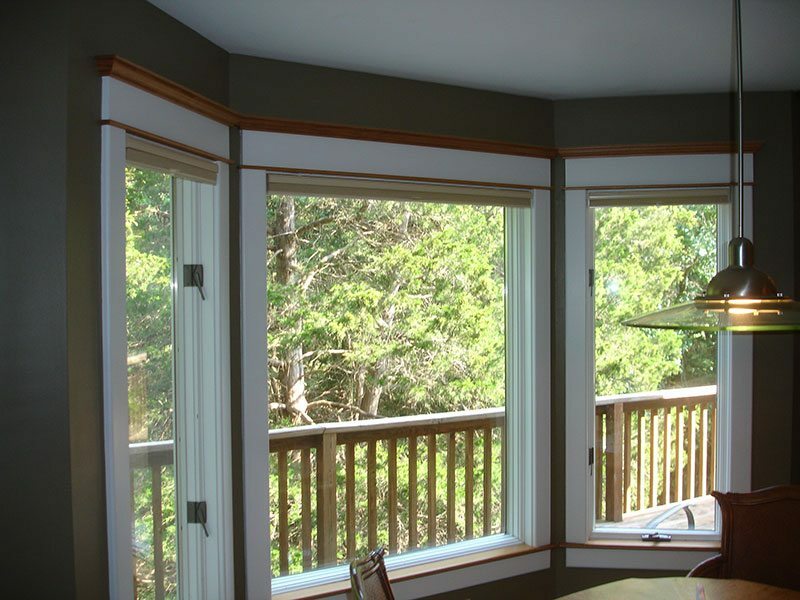 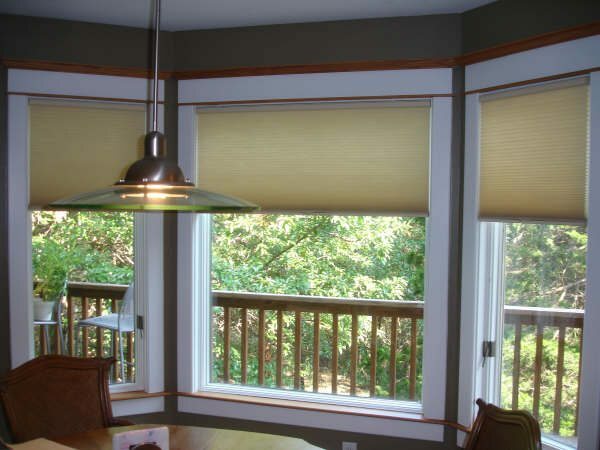 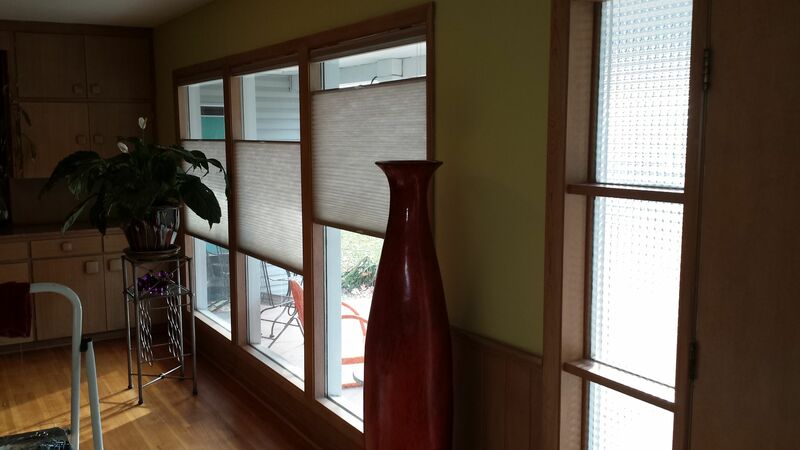 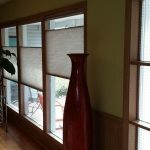 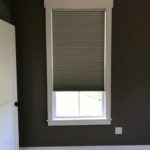 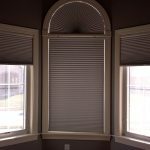 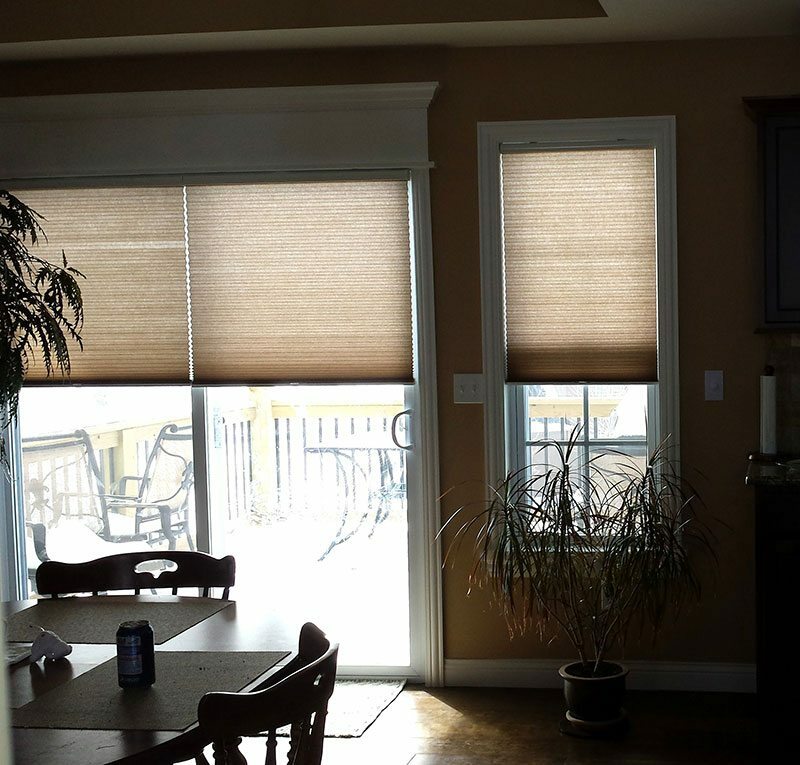 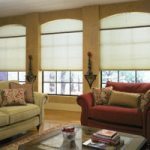 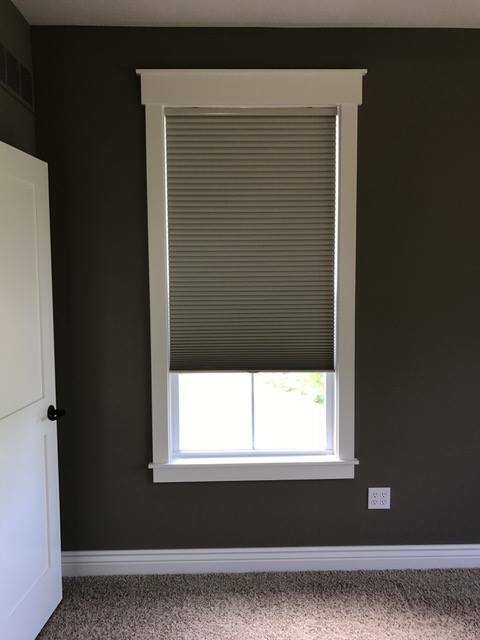 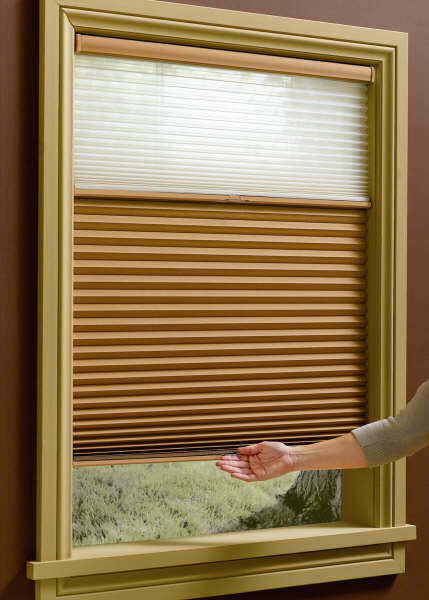 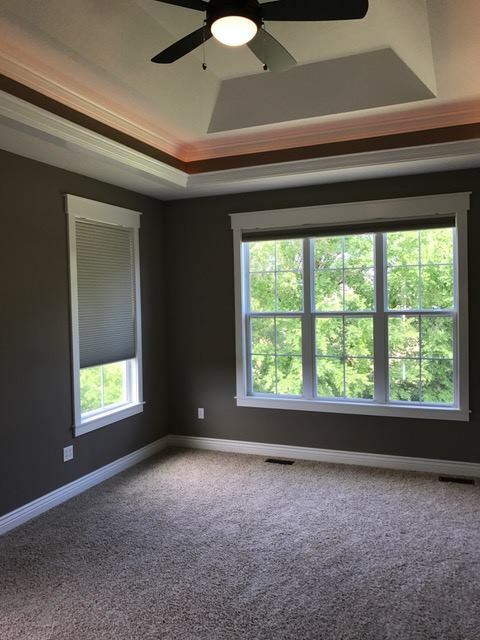 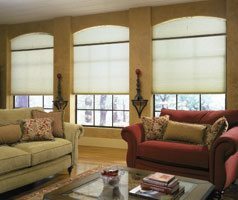 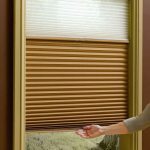 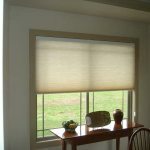 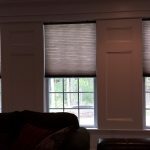 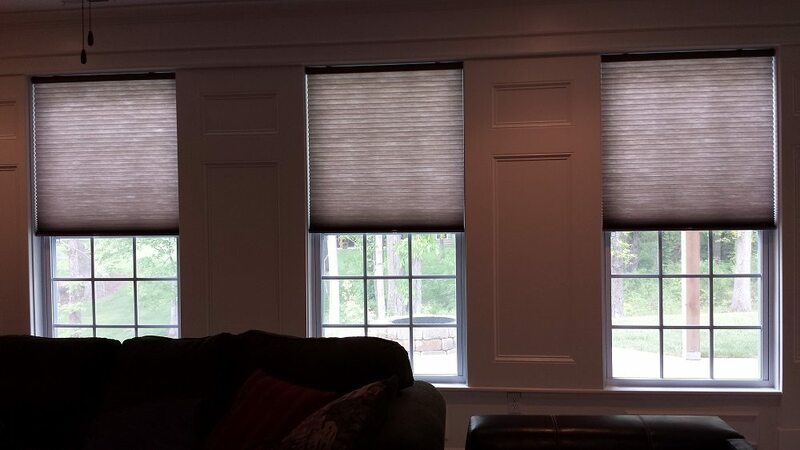 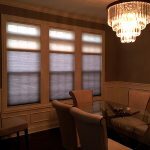 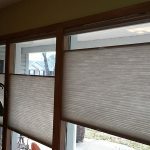 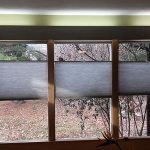 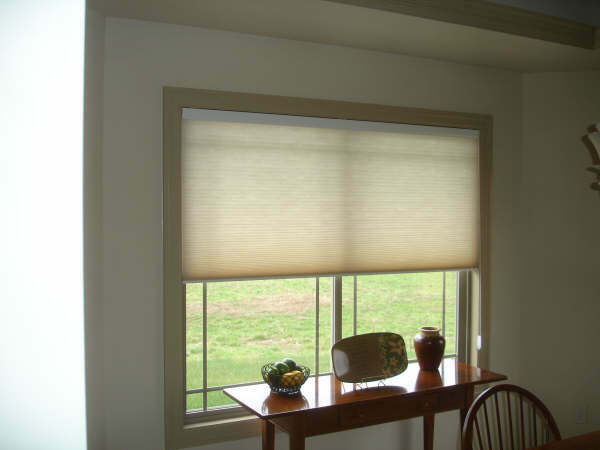 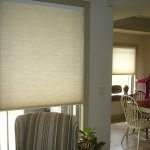 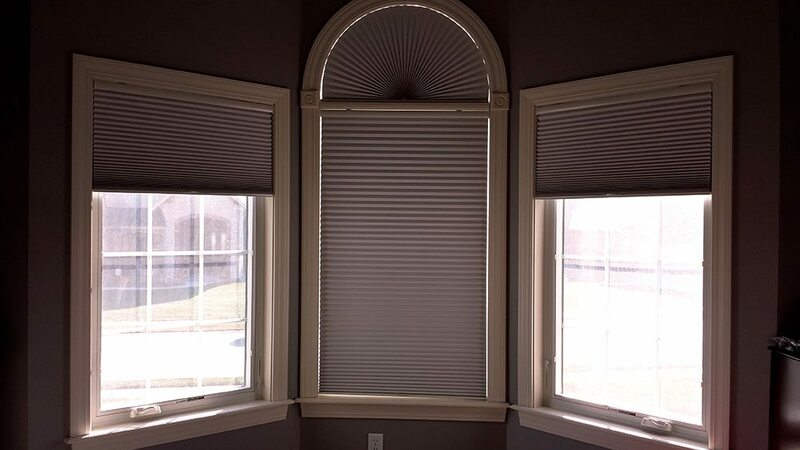 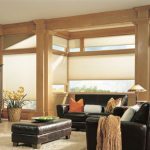 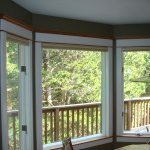 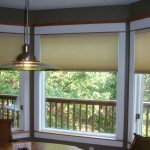 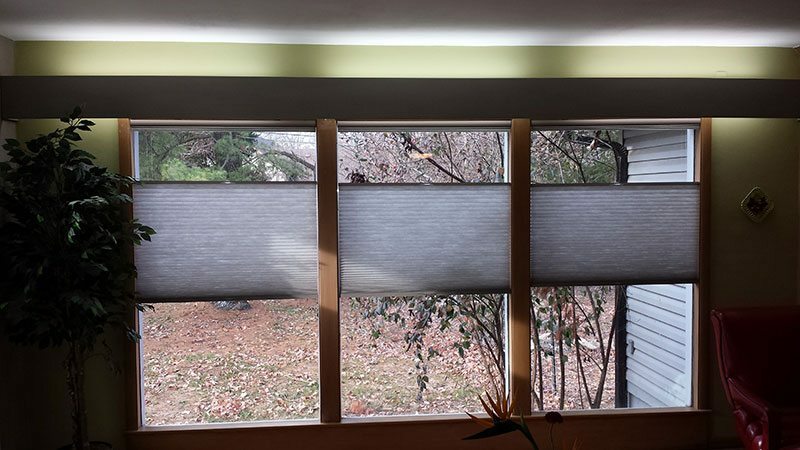 Cellular shades are available in sheer, light filtering or blackout fabrics with pleats ranging from 3/8” to ¾” in single, double and triple pleat. 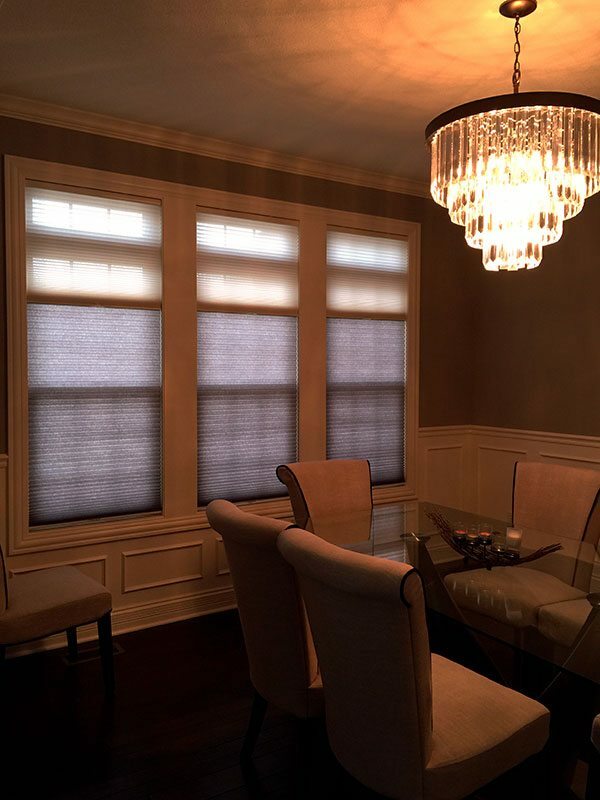 The insulating value of honeycombs rivals that of shutters. 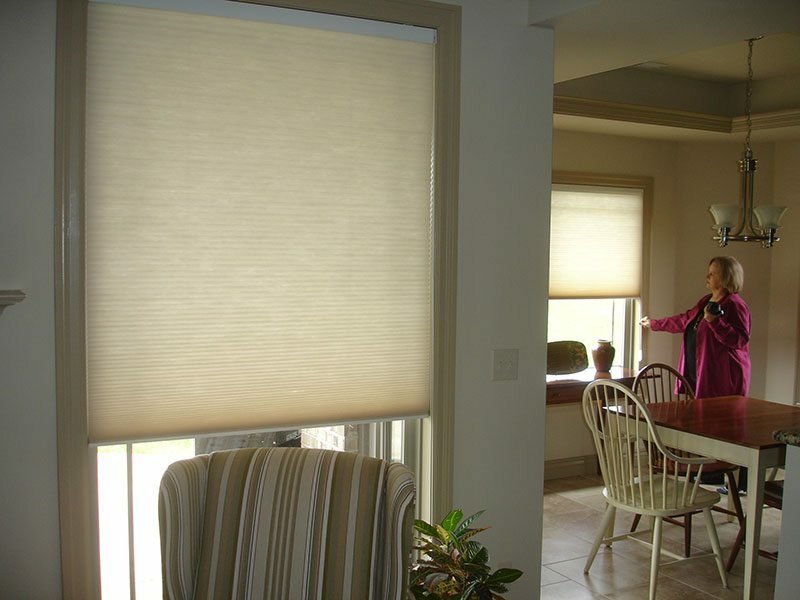 Manual, continuous loop cord, cordless, EasyRise, LiteRise, and automated lift systems are available. 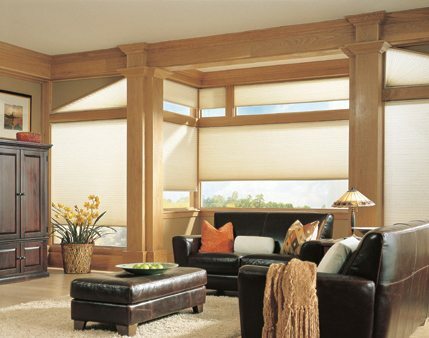 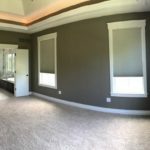 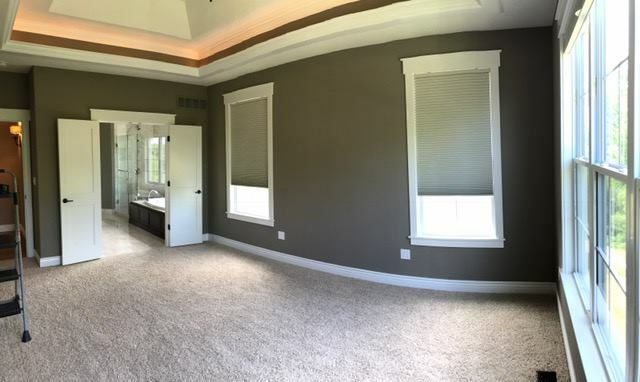 Standard Bottom Up as well as Top Down Bottom Up (TDBU) are offered by Kathy Ireland Home by Alta, Hunter Douglas and Comfortex, with brand names such as Persona, Envision, Applause, Duette, and Honeycomb.